Have I mentioned recently how much I absolutely love enabling knitters to learn new techniques? That feeling of breaking it down into achievable chunks, leading people through the process, and watching them achieve more than they thought possible is almost as intoxicating as the thrill of learning something new. I can’t wait to help you to Boost Your Knitting! And as well as those main, “headline” techniques, there will also be a number of bonus techniques along the way, including the sewn cast-off method, two-colour long-tail cast-on method (both standard and alternating versions), two-colour Italian cast-on method and the tubular cast off. Each time I read through that list I get a frisson of excitement. I know I’ve said this more than once, but when I first learned how to do a tubular cast on, it made me feel SO excited that I couldn’t sleep, and had to wake Jim up to tell him about this amazing new thing I had learned. It really changed how I looked at my knitting, and if you’ve not tried it, you really are in for a treat. And that’s just one of the techniques in the list! Whether you dip in and out, just working on the techniques that interest you most, or you decide to work through all twelve techniques in order, I hope that you will enjoy the process of learning something new. I think it’s fair to say that not everyone will love every technique – we are after all, all gloriously different – but I hope that you will enjoy the process of learning something new. In itself, the process of learning something new and practising it is worthwhile. We do it so much as children, but it’s a skill that can be under-exercised as we get older, as the fear of getting things wrong or making a mistake takes over. We are here to clear away those cobwebs and assist you on the path of trying new things, and learning something new. 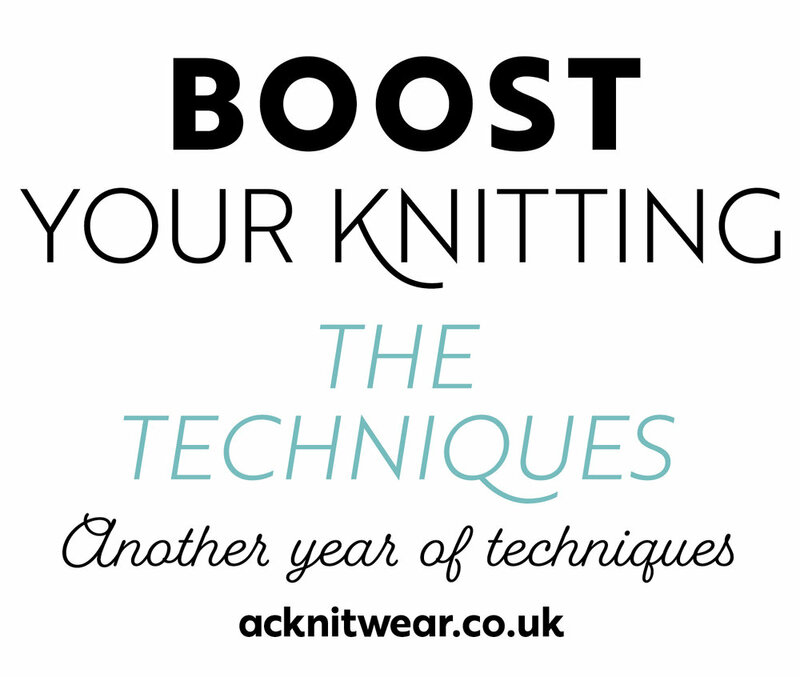 Get ready to Boost Your Knitting! For all the best offers, and to ensure that you don’t miss out on the Boost Your Knitting on sale announcement, do sign up for our newsletter (you can also get blog posts delivered to your email inbox by subscribing and then choosing that option)! We have added an audio description to this blog post, which you can find below. If you are reading this by email, you will need to visit the blog post on the website.